Charles A. Desoer, son of John and Yvonne Desoer, was born in Ixelles, Belgium on January 11, 1926. Even at a very young age, his interest at basic science and electrical engineering has been kindled and nurtured by his science-oriented father, who had earlier received his E.E. degree from one of the first university-level electrical engineering schools in Europe - the Institut Montefiore in Liege. His continued interest in radio engineering led him to enroll at the University of Liege. Belgium, where he received the Radio Engineer's degree in 1949. To broaden his scientific outlook and training. he continued his postgraduate study at the Massachusetts Institute of Technology where he received the Sc. D. degree in 1953. Eager to apply his theoretical knowledge to real systems. he joined the Bell Telephone Laboratories at Murray Hill upon graduation to work on the design of circuits satisfying combined time-domain and frequency domain requirements. His broad training and insights on circuit and system theory, signal transmission and distortion analysis were later fully ex ploited when he became a consultant at Bell Laboratories on the first telephone transatlantic cable. This experience has stimulated his interest in nonlinear systems and stability problems. The chaotic and ad hoc nature of these areas at that time prompted his decision to return to an academic atmosphere where basic research on these uncharted territories is badly needed. Thus, in 1958, he joined the Department of Electrical Engineering at the University of California in Berkeley as Associate Professor. He was promoted to Professor in 1962. It is at the University of California where his reputation as an internationally distinguished teacher and researcher was developed. It is here that his trademark as a devoted scholar and inspiring educator was recognized: he was an exceptionally clear and inspiring classroom expositor. All those who listen to his lectures can testify to the meticulous preparation, the relevance of topics, the lucidity of presentation. and his sensitivity to the student reference frame and student problems of understanding. His problem sets are carefullv formulated to illuminate subtleties that might otherwise be lost and his examinations are searching but fair. Under his guidance and supervision, a large number of graduate students have risen to high levels of professional excellence in both university and industry. He was particularly adept in the guidance of graduate students in the preparation for the conduct of research. By example, sensitivity to the students' needs, by insistence that the student show complete intellectual honesty, by his stimulus and encouragement, he has not only guided 24 students through their doctoral dissertations, but he has also prepared them as professionals to face the changing technical world. In the face of rapid and somewhat chaotic development of system and circuit theory, Professors Desoer's three books have crystallized out and defined the most important concepts and results in these fields and have made them accessible to both graduate and undergraduate students. His first book (with L.A. Zadeh) on Linear System Theory has been translated into Russian and Japanese and was a standard reference for graduate students and professionals all over the world. His second book (with E. S. Kuh) on Basic Circuit Theory has been translated into Italian and Chinese and was widely adopted as an undergraduate textbook in U.S. and abroad. His third book, Second Course in Linear Systems, is a beautifully organized compendium of the most important results in linear systems theory, well illustrated by examples. A review says "as in the first book, it is crammed with information on linear systems; it tells more about them than other books twice its volume..." His latest book with M. Vidyasagar on Feedback Systems was hailed by those who have seen it as another major piece of scholarly work. Professor Desoer was a well-known trendsetter in defining curricula in systems and circuits theory on a national and international scale. He has been influential in reviewing, criticizing, and making constructive suggestions to others writing textbooks. He has been exceptionally diligent and successful in upgrading of old courses and in the development of new areas of emerging importance. He believes that one of the important tasks of engineering schools is to develop organized presentation of the basic disciplines of engineering in such a way that their unity and usefulness are evident. 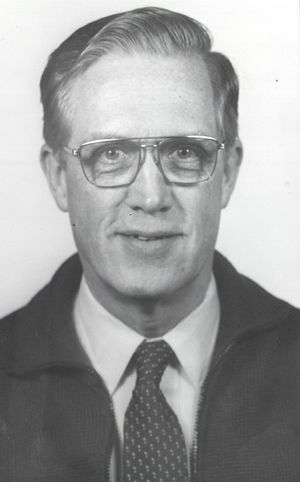 In recognition of his unexcelled record as an inspired teacher, he was honored by the University of California in 1971 with its University-wide prestigious "Excellence in Teaching Award. ", and the 1975 IEEE James H. Mulligan, Jr. Education Medal. Professor Desoer was also an outstanding researcher. He has published over 100 research papers in recognized professional journals and has served as editor and guest editor of several professional publications. It is indeed remarkable that his teaching and research are closely entwined and reinforce one another. That his contribution in research is no less than those in education can be best testified by the numerous honors and awards that he received over the years. These include the Best Paper prize (with J. Wing) at JACC in 1962, the IEEE Fellow in 1964 the prestigious Miller Research Professorship at the University of California in 167, the medal of the University of Liege in 1970, and the Guggenheim Fellowship in 1970. Dr. Desoer lived with his very warm and charming wife Jackie in a modest condominium only lour blocks from campus. They were often be seen on Sunday mornings indulging on their favorite hobbv - hiking in the nearby Berkeley hills. They also enjoyed spending an occasional Saturdav evening at some cozy French restaurant or at a movie house. For his relaxation, Dr. Desoer enjoyed reading on such topics as economics and the history of science, while Jackie listens to the ever present soft background music. Dr. Desoer, who passed away on 1 November 2010, was an Emeritus Professor of Electrical Engineering and Computer Sciences at the University of California, Berkeley.